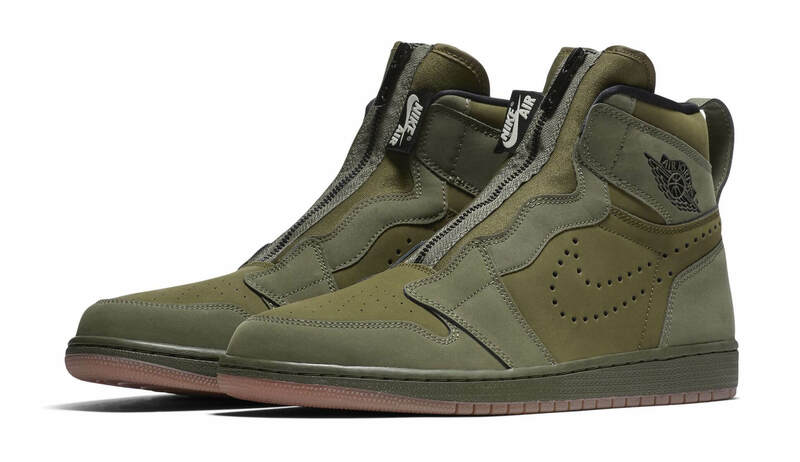 After collaborating with Vogue, the upcoming Air Jordan 1 High Zip has been cherished with a more eye-catching Olive Canvas/Black colorway. 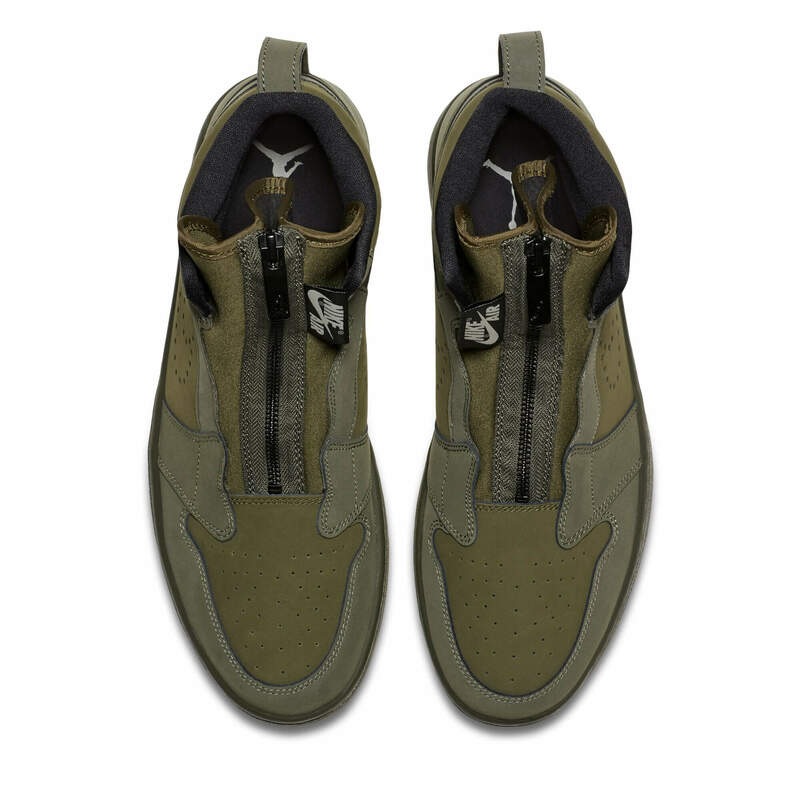 The shoe has been updated with a zipper closure along the tongue and comes constructed out of premium suede and nubuck material. This upcoming pair has been further complemented with leather accents and perforated Swooshes on the sides in order to provide max ventilation as well as durability. 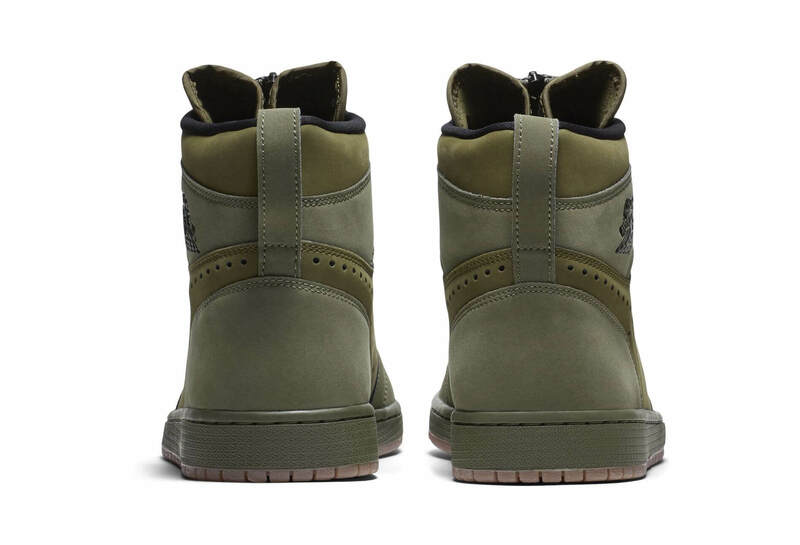 At last, completing the design altogether is the contrasting Black wings logo placed on the ankle and a tonal Olive midsole followed by a gum outsole. 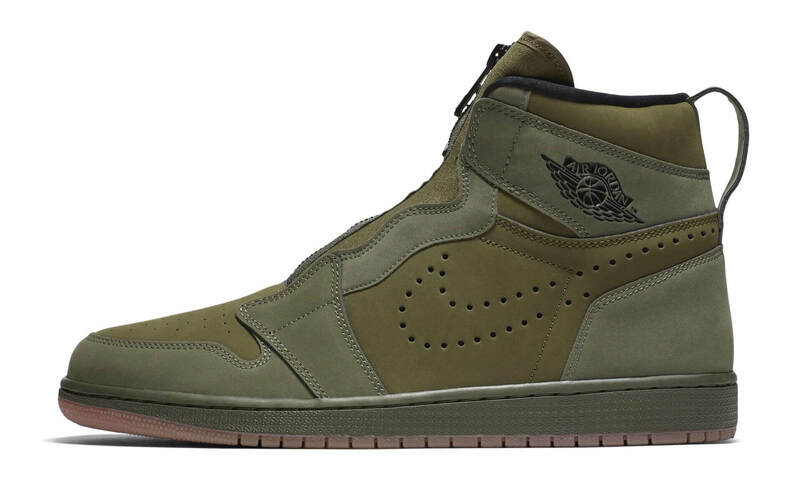 Check out more detailed images and you can grab a pair for yourself very soon at any select Jordan Brand retailers for a retailing price of $150.